Last weekend, my American friends and I did sightseeing in Tokyo. They just arrived in Tokyo few weeks ago to study at one of our universities, and I wanted to show them around before their university starts and they get busy. We met up for lunch and had teishoku or a set meal. Many Japanese restaurant have a selection of teishoku that is usually in a good deal, and it usually comes with a main dish, rice, miso soup, Japanese pickles and sometimes salad or desert. This is fried fish teishoku. Then we went to Nippon Buddokan (see more info here), Imperial Palace (see more info here) and then headed to Tokyo Tower. We should have taken a train, but someone said we could walk so we did. Wrong decision! It was maybe about 6km from there to Tokyo Tower, and we got so tired. My American friends are still young, both in early 20s, but hey I’m in 30s! lol All of us got tired after a long walk, but I was even more tired on the following day. Next morning, I woke up feeling like a broken robot walking like a duck. We will take a train next time! 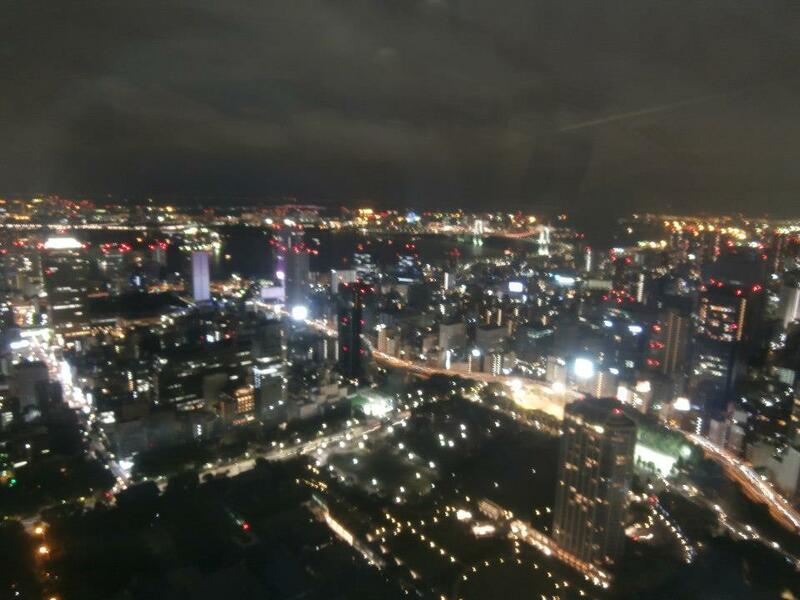 Here are some of the pictures I took while heading to Tokyo Tower. When we got Tokyo Tower, the sun was about to go down. 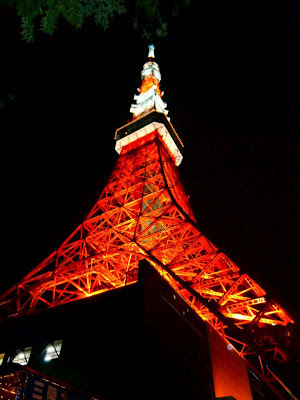 This is Tokyo’s symbol, Tokyo Tower built in 1958, 333m tall, at night (see more info here). Beautiful, isn’t it? 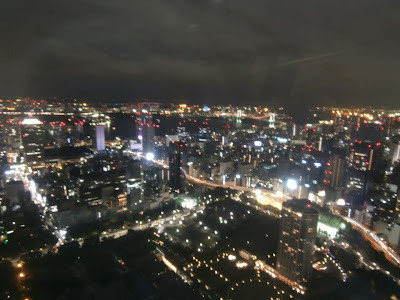 We went up to the observation deck to see the night view of Tokyo. I know I’m so bad at taking good pictures, but I didn’t know I was that bad! lol I took lots of pictures, but this is the only one good enough to share with you. lol Every time I took one, my friends laughed at me because it was so bad. Haha. If your friend is visiting you from another country, what kind of food would you recommend him/her to have in your country? I usually first ask if there is anything they can't eat like my Singaporean friend didn't eat any Halal food which we eat a lot, my Canadian friend couldn't eat raw fish etc., and then decide where to take them for eating out. 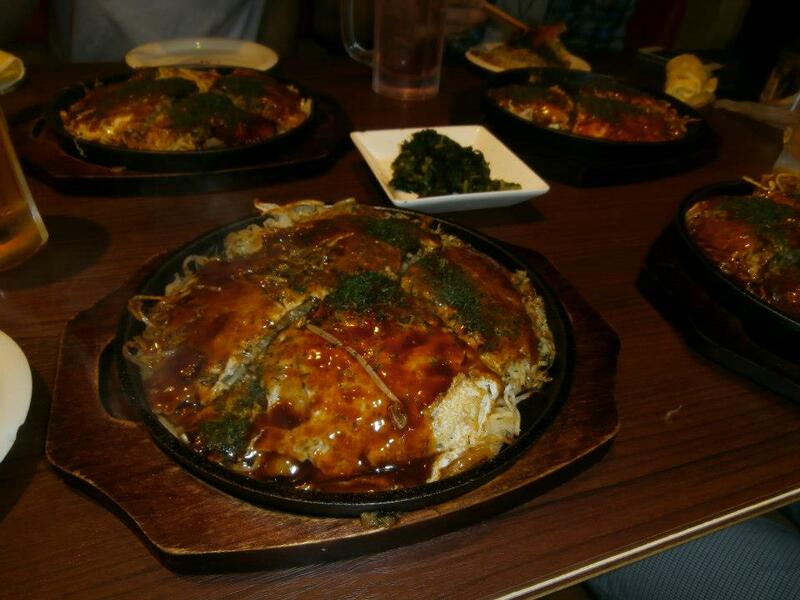 Most of my foreign friends liked Okonomiyaki, so I usually take my friends there. :) Have a nice day! Thanks! Your country is SO beautiful, too! I really want to visit there someday!!! Hahaha, thanks! I did my best! ;) I've heard of pierogi but never tasted it. It's like dumplings, right? What's inside? Hmm...maybe I should look for a Polish restaurant to try it! Yes it's dumplings:) There have different fillings: cabbage&mushrooms, meat, white cheese&potatoes&onion, white cheese&sugar or fruit e.g. blackberries. I've never heard of arepas, but it looks delicious! Is that easy to make? I now want to search for a Venezuelan restaurant to try that! I LOVE trying new food! :D Thanks for letting me know! Arepas are on my list now!